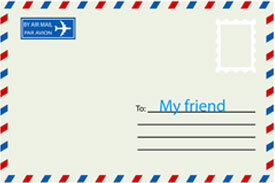 Envelope labels are great solutions to help bring life to plain and boring-looking envelopes. Whether you plan it to use them to send a business letter or mail a postcard back to your family, the options on how you can write your name and address are limitless. What's more, you will be saving yourself a lot more time when you stick a pre-printed label. Why Opt for Envelope Labels? One of the reasons why you should use envelope labels is that it helps you avoid any hassles associated with human error. For instance, you may make a spelling error when you are handwriting someone's name and address on the envelope. In some cases, you can get away by using correction fluid but imagine if you are sending a business letter – it would not reflect well on both you and your company's image. Think professional, neat, quick and efficient. These are some of the core reasons on why you should opt for these awesome labels. As you will design the labels with a software first, you will be able to ensure that it is 100% free from any mistakes. Once you are past that stage, you will only need to print it on the labels and at any time you see fit. Peel and stick – now that's something you can do all day. Create Your Envelope Labels with Us! At Cut Sheet Labels, we offer envelope labels in a variety of sizes and you can be sure that they are of the highest quality. We are able to offer blank labels so you can print any design you want on them. Best of all, the labels are offered at the lowest price because they come directly from our factory. When you shop at our online store, you can rest assured that your shopping experience and transaction are confidential and protected by SSL encryption. If you are looking for a specific size for your envelope labels, don't hesitate to contact us if you can't find it online.